Less than one week after suicide bombings at three churches in the city of Surabaya and subsequent terrorist attacks left Indonesia in a state of horror and shock, another act of terror targeting a religious minority group in Eastern Indonesia took place over the weekend. The group in question is the Ahmadiyah community in East Lombok. Ahmadiyah is a religious sect that follows a non-mainstream interpretation of Islam and has thus faced systematic discrimination by the Indonesian government. Their communities have been the targets of numerous violent and sometimes deadly attacks in the last few years. 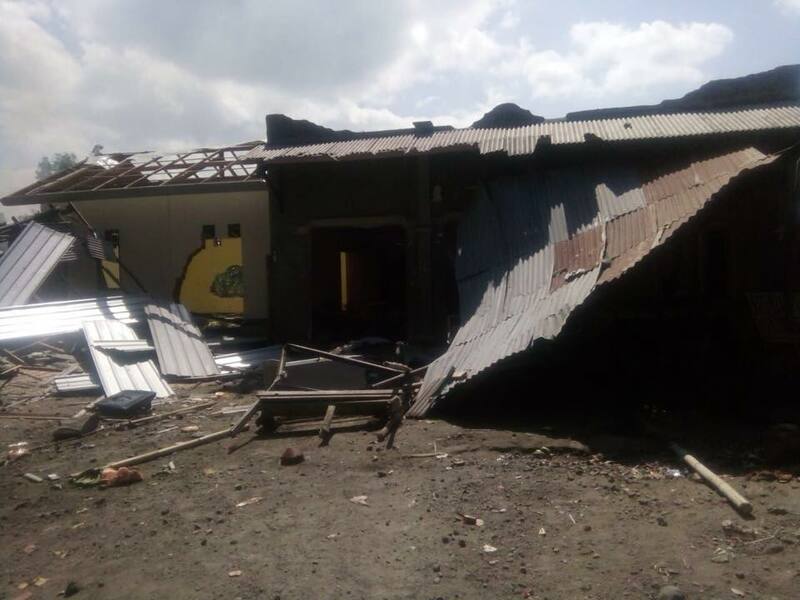 The attacks follow previous incidents of terror and intimidation against the Ahmadiyah community in other parts of East Lombok that took place in March and on May 9 which also forced some member to leave their homes. The East Lombok Police said they had attempted to prevent further conflict by holding dialog sessions between the Ahmadiyah community and those wanted to kick them out out of the area but admitted they had not been successful. None of the assailants in those or the most recent attacks have been arrested. According to the JAI press release, police were at the scene during the second attack on Saturday night but did not prevent it. Officials from GP Ansor, the youth wing of Nahdlatul Ulama (Indonesia and the world’s largest Muslim organization) strongly condemned the attacks, particularly for their timing during the Holy Month, and urged the police to investigate them fairly and fully. “We strongly condemn acts of terror, vandalism and the expulsion of Ahmadiyah people, especially in the midst of the holy month of Ramadan, Ramadan is not only about enduring hunger and thirst and fill us with a spirit of worship, but it is also about maintaining harmony in life. Ramadan should be full of love for one another and should have nothing to do with destructive behavior and hatred, “said GP Ansor Executive Board Secretary Adung Abdul Rochman on Sunday as quoted by Detik. But considering the long history of oppression and violence the Ahmadiyah have faced in Lombok and other parts of Indonesia, as well as the history of their persecutors avoiding any legal repercussions for their actions, there is reason to doubt that the police will do their duty in terms of punishing those behind the attacks and protecting the community in the future. The only way law enforcement will do their jobs is if there is enough pressure from the wider community. Because their beliefs are considered heretical to mainstream Islam, the religious majority in Indonesia have said little when the Ahmadiyah community has been attacked and persecuted in the past. But as the terrorist attacks in East Java show, a culture of not speaking out against the harassment, intimidation and dehumanization of minority groups gives oxygen to extremist thinking that leads parents to believe that killing those of different faiths, alongside their own children, is a reasonable thing to do. In the meantime the Governor of Lombok has visited the displaced members of the Ahmadiyya Muslim Community of East Lombok and arranged some other safe accommodation for them (away from the Police Station). – However, yes, the police has to do a better job, not only for the safety of the Ahmadis but for the safety of the whole country of Indonesia from such extremist elements! By the way: the displaced are in the best of spirits. One lady remarked ‘it is only a house’ (referring to the damage done to her residence) and proud to bear pain due to her faith!